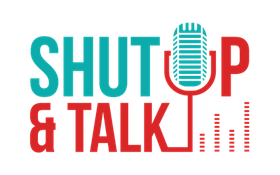 Shut Up & Talk is New York's go-to place for voice over training and demos. We opened our doors in 2001 and have always offered honest advice and feedback to the thousands of voice over talent that have been in and out of our booths. Our team draws from decades of diverse and extensive experience in the industry. We're not here to sugar coat the business. It can often be challenging to break into but there are tremendous opportunities to be had. While a beautiful voice can certainly be a good start, booking jobs can take a while since the voice over industry is full of professional and seasoned talent with years of experience. Our goal is to help you be competitive. From classes, to private coaching, to recording and producing your demo and beyond, Shut Up & Talk will give you the training you need to be a professional voice talent. Check out the Shut Up & Talk Web Series Pilot. Learn more about Ed Lewis and his VO Class. Hyperbolic Audio is home to Shut Up & Talk.